John Whitmer was a member of the famed Whitmer family who played important roles in the early history of The Church of Jesus Christ of Latter-day Saints (which church is often inadvertently referred to as the “Mormon Church”). Although all but the mother of the Whitmer family, who died early, eventually either officially left the church or simply stopped participating in it, the family members are still respected for their early and essential contributions and for consistently confirming their testimonies even after they left. John Whitmer was born on August 27, 1802, in Pennsylvania. His parents, Peter Whitmer Sr. and Mary Musselman, were members of the German Reformed Church in New York, where they moved just before 1810. John was the third child and, like his brothers, grew up working the family farm. John was confirmed a member of the German Reformed Church on April 5, 1822, with his brothers Christian and Jacob. John’s brother David met Oliver Cowdery while visiting Palmyra, New York. The two learned of a man named Joseph Smith, who was translating an ancient record recorded on gold plates. David and Oliver were both very curious about this document, and Oliver decided to travel to meet Joseph Smith in person in order to learn more. He did so and sent three letters to David testifying of the truthfulness of these religious documents. Oliver asked David if he and Joseph Smith could come to live in the Whitmer home for a time to continue the translations. Cowdery was now assisting Joseph in the role of scribe and persecutions were making the work difficult. Although the family was at first hesitant (mainly because David would need to go and get the two men, taking him from his farm work), a small miracle showed them God wanted this to happen. David was able to finish several days’ work in one day. He went for Joseph and Oliver, with Joseph’s wife, Emma, joining them later. Mary Whitmer, David and John’s mother, was burdened by the extra work inherent in having additional people in her home. She received a heavenly visitor who showed her the plates on which the records were written. She never again felt overwhelmed by the work and she, unlike most of her family, retained her faithfulness in the gospel her entire life. When The Church of Jesus Christ of Latter-day Saints was formally organized on April 6, 1830, John was one of the people (of whom six were required by New York law to organize a new church) who was blessed to become an official member that day. John received revelations through Joseph Smith specifically for himself and also received a call to missionary work. He was instructed by revelation to carry out his regular labors and to study the scriptures as well. John went with Joseph Smith back to Pennsylvania, where Joseph normally lived at that time, to assist in copying revelations received. While they were there, they learned that Oliver Cowdery wanted to change a revelation that had been received. Not entirely understanding the role of a prophet in God’s church, Oliver felt that he could command the prophet to change the revelation in the name of God, essentially placing himself in the position of a prophet. Joseph and John returned to New York to find that most of John’s family sided with Oliver Cowdery. They liked his version of the revelation better than the one Joseph had actually received. Joseph worked to teach them that there could be only one living prophet in order to avoid the confusion the world already faced in religion and that we had to accept the word of God even when we preferred something different than what God taught. Eventually, they all understood the importance of a single prophet. Unfortunately, the Whitmers and Oliver again fell prey to false doctrine. This time it was Hiram Page who claimed to be receiving revelations through a seer stone. He managed to convince the Whitmers and Oliver that he really was receiving them from God, even though his “revelations” contradicted established doctrine and the New Testament. Joseph spent most of a night before a church conference in prayer to God in order to learn how to handle the problem. At the conference a revelation was read explaining that only Joseph Smith could receive revelation for the entire church. Everyone can receive it for issues relating to his or her own sphere of influence, but not for the entire church. Each person attending the conference had this revelation confirmed to them personally by the Holy Ghost and accepted it, even Page himself. Despite these lapses, which would occur again, the Whitmers were valiant workers in organizing the church. They provided tireless service and made it possible for the church to function. John Whitmer received, in 1830, a missionary call to serve in Ohio. In 1831, John received a call to replace Oliver Cowdery as Church historian and recorder. He was hesitant to accept the call, admitting that he would rather not do it. However, he also noted that if God really wanted him in the position, he would accept it. Joseph Smith prayed and received a revelation concerning the call. Behold, it is expedient in me that my servant John should write and keep a regular history, and assist you, my servant Joseph, in transcribing all things which shall be given you, until he is called to further duties. Again, verily I say unto you that he can also lift up his voice in meetings, whenever it shall be expedient. And again, I say unto you that it shall be appointed unto him to keep the church record and history continually; for Oliver Cowdery I have appointed to another office. Wherefore, it shall be given him, inasmuch as he is faithful, by the Comforter, to write these things. Even so. Amen (Doctrine and Covenants, Section 47). From 1831 to about 1847, John Whitmer worked on writing a history of the Church. In 1833, he married Sarah Maria Jackson in Missouri, where the Mormons had gathered. A few months later, a mob converged on Independence, Missouri, where many Mormons lived, and began threatening them as the mob searched out church leaders. John and several other leaders offered to go peacefully if the mob would spare the rest of the community. John and the others were ordered to leave the city. John moved to Clay County, where he was, in 1834, named assistant president of the church in that area, serving under his brother David. He attended the Kirtland Temple dedication in Ohio and was also appointed to oversee the sale of some church-owned property. As persecution and trials increased, many valiant people began to falter. John and his brother David, as well as William W. Phelps, were charged with appropriating properties they were to buy for the church with church funds. They put the titles to some of these lands in their own names. They ignored repeated warnings against such behavior, and so were excommunicated on March 10, 1838. As church historian and recorder, John had possession of important church documents, which he refused to return, even after several warnings and a revelation commanded him to do so. In 1838, John participated in an event that made even himself ashamed. Joseph Smith received a revelation that was merely a command, not a prophecy. The apostles were instructed to gather at the temple lot near the end of April to receive instructions for departures to various missionary assignments. 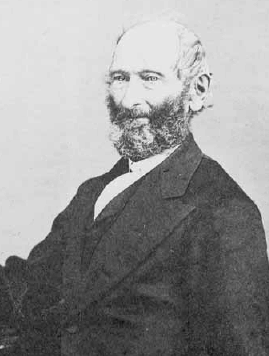 John Whitmer joined with a member of the mobs that had persecuted the Mormons (including John himself before he had left the church) and several other people who had left the church. They went to the Committee on Removal and read the revelation aloud to Theodore Turley, mocking it as a false revelation because the apostles would not all be able to arrive by that date. They announced that if the apostles did, by chance, arrive in time, they would kill them. They tried to convince Turley to denounce Joseph Smith. When he refused, they mocked him intensely. John was ashamed, by this time, of his participation in this meeting. Theodore Turley, knowing John had been a witness to the gold plates, asked John if he still held to the testimony he had once given. John said he did and knew the Book of Mormon was true. When the Mormons were forced out of the city again by the mobs, John Whitmer stayed behind. Mormons were forced to sell their properties for minimal amounts, and John took advantage of these sales, refusing to pay a fair price for the properties he purchased. However, although he never returned to the church, he continued to uphold his statement about having seen the gold plates. Every Person in the Doctrine and Covenants by Lynn F. Price, Cedar Fort, 2007. Fixed. Thanks, Helen, for the correction.